Enjoy the best of the British countryside, food, drink and outdoor entertainment at the The South of England Show, West Sussex, this June and join in the fun at the show celebrates its 50th year. On 8, 9 and 10 June 2017, the South of England Agricultural Society will throw the spotlight on the charity’s achievements over the past 50 years, since it was established in 1967, with stunning displays of the best of British agriculture, equestrianism, countryside learning, horticulture and forestry; as well as great music, delicious food and drink and superb shopping. In addition, more than 1,500 horses and ponies will take part in the equestrian showcase that forms an enormous part of the three-day extravaganza, featuring dozens of classes from impressive heavy horse turnouts to the fast paced inter-hunt relay, beautiful hackneys to spectacular International show jumping with classes designed by the 2012 Olympic course builder, Bob Ellis. 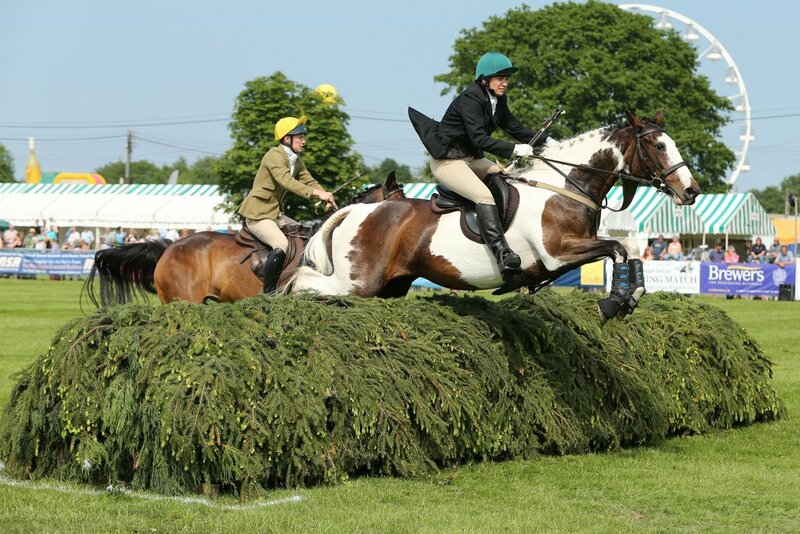 The show will also feature 33 Horse of the Year Show qualifiers, including the Ridden Arab classes and, new for 2017 will be show jumping on all three days in the Balcombe Ring as opposed to only two in previous years. Over to showing and competitors from all over the country take part in competitions from the elegant side saddle to tiny tots on lead reins. Stock classes take place on the Thursday, with the top animals competing for the prestigious Cuddy qualifier, which culminates at the Horse of the Year Show in October. Plus, the Championship Prize fund for the Amateur Hack, Riding Horse and Cob classes (all open to amateur hacks, riding horses and cobs) has been raised to £975. Closing dates for entering this year’s showing competitions are 1 April for postal applications and 13 April online. Applications for Show Jumping competitions are 1 May for postal entries and 26 May online. Family and friends can take full advantage of the ticket prices again this year with under 16s going FREE (accompanied by a paying adult £21); senior citizens and students over 16 £19. There is also FREE parking and a regular bus shuttle service from Haywards Heath train station to the showground.